W.T.S. 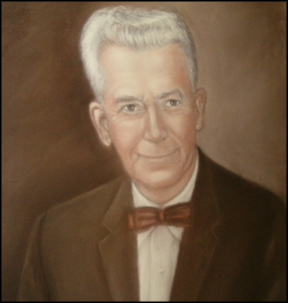 Montgomery founded the Jacksonville Blowpipe Company in 1925 and quickly developed a reputation for building heavy duty, high quality Material Handling Fans and installing first class pneumatic waste removal systems throughout the southeastern United States. In the late 1940’s, he recognized the need for a better way to reduce wood scrap into a more consistent end product. He developed the patented punch-and-die concept for a two stage grind in a single machine. As the business grew, it was formally incorporated in 1948 in Jacksonville, Florida, U.S.A. New models and configurations were steadily developed to address a wide variety of waste reduction applications. The business was renamed Montgomery Industries International, Inc. in 1972. The Montgomery Hog has established a solid track record of being a rugged, high quality, long lasting piece of equipment that produces a consistent end product with a minimum of fines. We have built over 3,000 machines for customers in 35 countries.